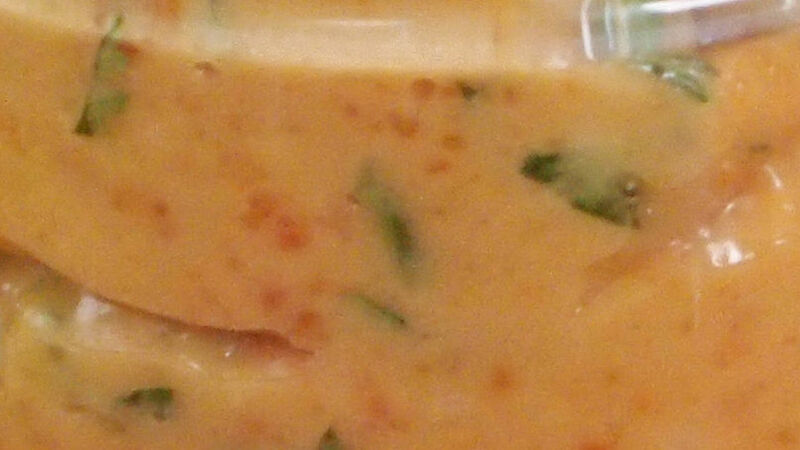 To turn this dip into a dressing or pasta sauce, add 1/4 cup of water, and blend. Check the texture to see if you need more water. Another delicious idea is to use this as a sauce for fish or seafood dishes, or as a sandwich spread. I love making a grilled asparagus and mushroom sandwich with this spread. Use brown sugar instead of honey if you want. Despite being so simple, peanuts are one of the tastiest ingredients out there. These low-key nuts are extremely versatile and have the ability to enhance everything they touch. It’s a completely different experience to eat brownies with peanuts than eating them without, right? Those of us who are lucky to be able to eat them (i.e. not allergic), can enjoy them in all their glory and really appreciate what they bring to all kinds of recipes, both savory and sweet. One of the most famous appetizers in the coast of Peru is called Ocopa, which is a cold potato dish covered in a sauce made with peanuts, milk, queso fresco, chili pepper and black mint. Asian food, on the other hand, has countless curries, noodles, meat dishes and salads that have peanuts as a key ingredient. I’ve mixed these two influences to create a peanut salsa that can be used as a dip for vegetables, tortillas, spring rolls, or whatever you feel like munching on, and that can also be used as a sauce to pour over a bowl of noodles with vegetables, or as a dressing for a colorful salad.